Vision: To reveal God’s truth of love and empower our clients, to choose to live an abundant life. 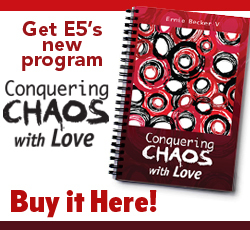 Mission: E5 coaching uses their passion and support to empower others to live Gods truth! Clarity is obtained though the application of our unique coaching tools ultimately creating the desired results that are pleasing God and themselves.